Countries of East Asia region account for 63% of total world fisheries production, contributing 40% of global wild fisheries production and 80% of global aquaculture production. 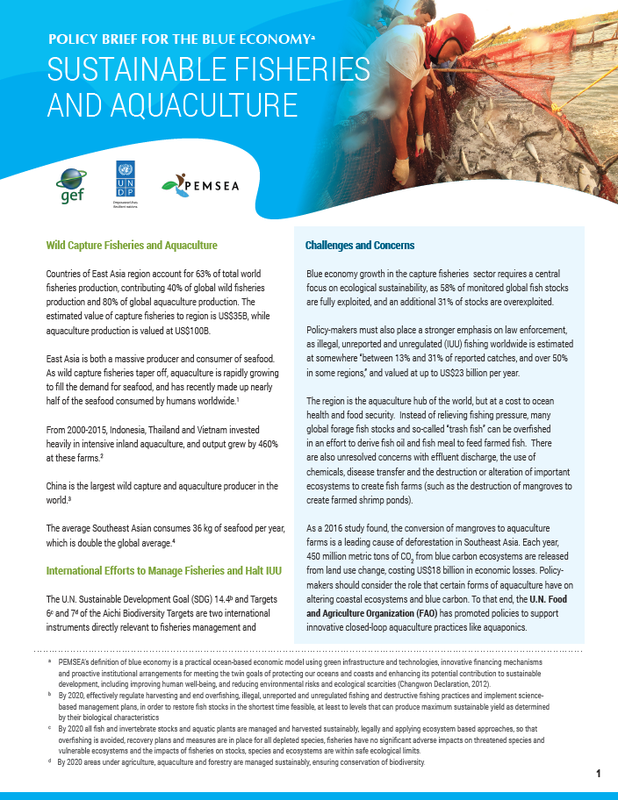 The estimated value of capture fisheries to region is US$35B, while aquaculture production is valued at US$100B. East Asia is both a massive producer and consumer of seafood. As wild capture fisheries taper off, aquaculture is rapidly growing to fill the demand for seafood, and has recently made up nearly half of the seafood consumed by humans worldwide.